The Tanimbar Islands of Indonesia are remote and largely neglected by outsiders. Will Buckingham went there, as an anthropologist in training, with a mission. He hoped to meet three remarkable sculptors: the crippled Matias Fatruan, the buffalo hunter Abraham Amelwatin, and Damianus Masele, who was skilled in black magic, but who abstained out of Christian principle. 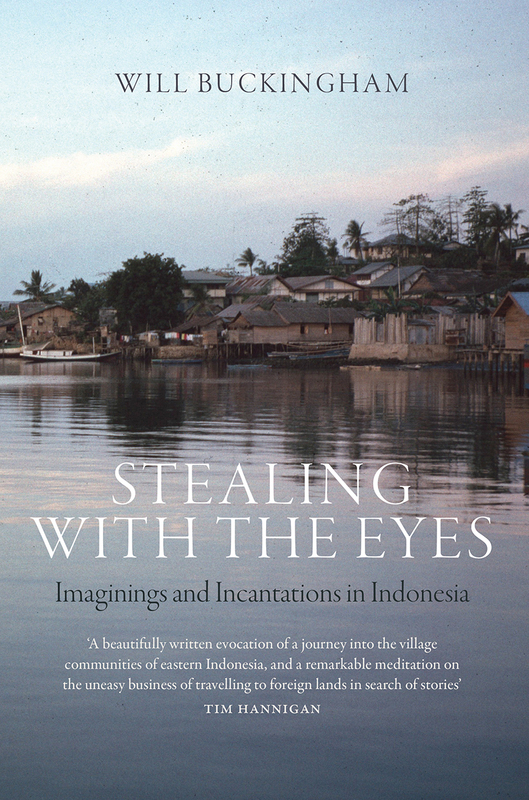 Part memoir, part travelogue, Stealing with the Eyes is the story of these men, and also of how stumbling into a world of witchcraft, sickness, and fever led Buckingham to question the validity of his anthropological studies, and eventually to abandon them for good. Through his encounters with these remarkable craftsmen—which in relating her also interweaves with Tanimbarese history, myth, and philosophy dating back to ancient times— we are shown the forces at play in all of our lives: the struggle between the powerful and the powerless, the tension between the past and the future, and how to make sense of a world that is in constant flux.